Speculative literature. A resistance press. 1) Order 2020 Visions NOW! using this Pay Pal button below for only $13.95 [ FREE SHIPPING!] and get for FREE a one-year subscription to the electronic edition (PDF) of M-Brane SF, the spectacular zine of awesomeness!! 2) Order 2020 Visions this way instead (button below) and get not only the free subscription to M-Brane SF but also a print copy of the astounding M-Brane SF Quarterly #1, the trade paperback collection of the last three months' of the zine's stories, plus some bonus items. ALLLL yours for $19.95!! That's like getting two great books for the price of...about one and a half. 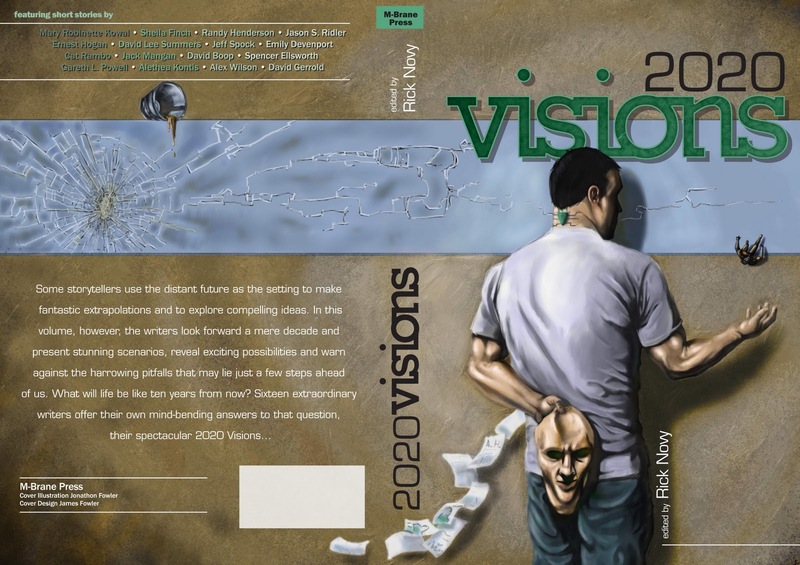 The image is of the full cover (front, back and spine) of 2020 Visions; art by Jonathon Fowler, design by James Fowler. AETHER AGE goes on sale today!